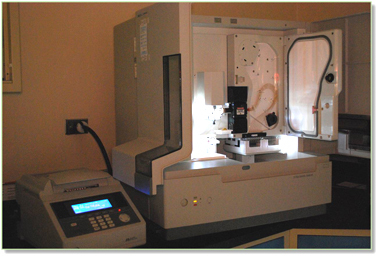 The Texas Tech University Health Science Center (TTUHSC) School of Medicine (SOM) Cancer Center Cell Culture Core makes available methods of molecular identification of cell lines and xenografts. 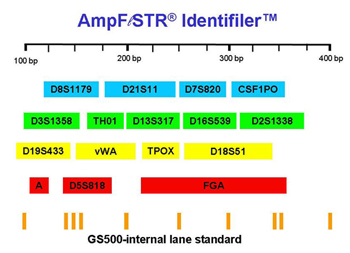 After study of the various alternatives, the laboratory chose to implement the Applied Biosystems AmpF/STR® IdentifilerTM system for genetic identification of cell lines and xenografts. 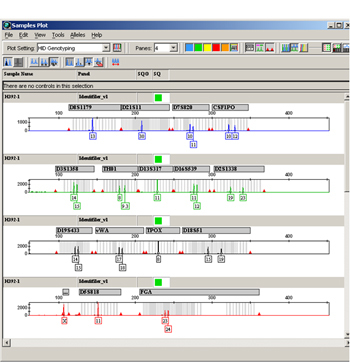 The IdentifilerTM kit was developed specifically for use in forensic laboratories throughout the world (3) as a standardized method for assessing short tandem repeat (STR) loci and software to reduce analyzed loci to a numeric "molecular fingerprint". This method is routinely employed in the Childhood Cancer Repository, powered by Alex's Lemonade Stand Foundation (4). 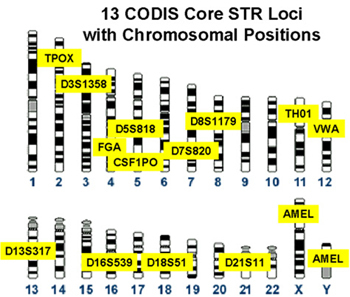 The result of DNA STR typing done for the Childhood Cancer Repository and TTUHSC includes the complete 16 loci set of the sample, which are entered into an MySQL database and the results are searchable on the strdb.cccells.org website. 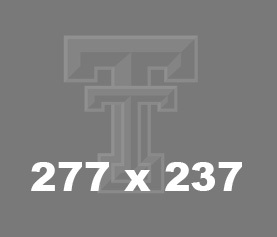 This database currently contains ~ 2500 previous STR profiles from cell cultures and tissues from the Childhood Cancer Repository, cell lines established at TTUHSC and UT Southwestern Medical Center, and STR data from other repositories (ATCC, DSMZ, JCRB, and Riken). 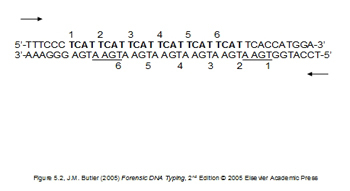 Some of the data employ 8 loci profiles. 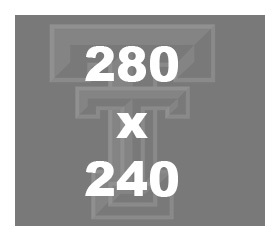 The sample contributor is advised of any matches by email. This database is employed internally by the Childhood Cancer Repository, powered by Alex's Lemonade Stand Foundation, and the TXCCR when establishing new lines or validating established cultures. 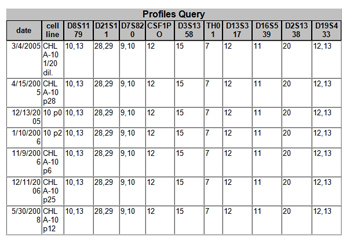 The database is available online (https://strdb.cccells.org/) for any investigator to use to identify a cell line or verify that a new line is unique with respect to the database of known lines. Standard Operating Procedure, SOP 25: Short Tandem Repeat STR Profiling GP10.